WING CHUN SYDNEY | TEACHING GOOD PEOPLE HOW TO DEAL WITH BAD PEOPLE. Very few people have 25 years to spare to study a Martial Art, we get it, so at Wing Chun Sydney we focus on the elements that can get you to knowing the COMPLETE SYSTEM in as little as 6 years, Wing Chun itself is based on normal Human Body Mechanics and movements, so to a very large extent you already know everything you need to know, we work hard on helping you understand this. Please be aware that we do not offer any FREE TRIAL LESSONS, and we do not cater for children under 18 years of age. ARE YOU LOOKING FOR A DEEPER EXPLANATION OF WING CHUN AND MY TEACHING METHODS? HIT THE BLOG. 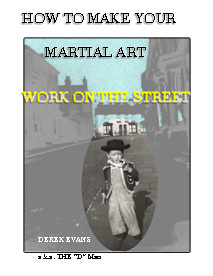 TO GET A BETTER IDEA ABOUT MYSELF AND MY APPROACH TO WING CHUN TRAINING THE BLOG IS HERE. private promo from WC INCa’s on Vimeo. Thank you, blogging is like most things the more you participate the more you find ways to make it easy, I have been blogging for around 3 years. Thank you for your support. An easier way is to follow the blog, then you will be contacted every time i post something.